Welcome back to our latest selection, where we will be taking a look at some Norwegian brands that everyone should know about. These are brands that specialize in outdoor gear and clothing and we selected them for this reason specifically. After all, that’s what our whole site is about! 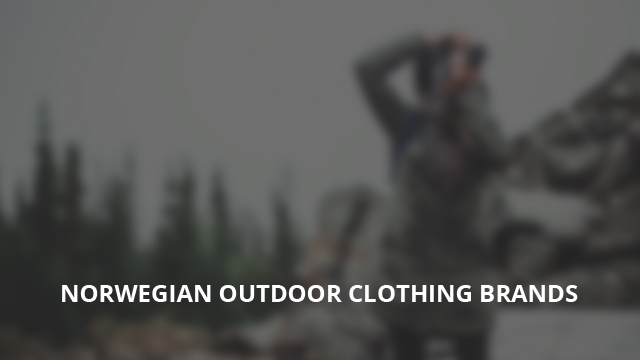 Norwegian brands have been on top of the outdoor clothing market for years now. That’s understandable when considering the weather conditions on the Scandinavian peninsula. Who better than those that know freezing temperatures all too well can design clothes able to withstand such conditions! For this reason we went on a search for some top quality Norwegian brands. We have picked 9 brands that you may not have come across before, so let’s take a look. The first one is Devold, a brand that was established in 1853 by Ole Andreas Devold. He started out by manufacturing and selling woolen mittens and underwear, doing so with some of the best technology at the time, mechanical equipments that could knit garments perfectly at a faster rate. Devold was a man that loved innovation and he was one of the first to adopt technological advances of the time, such as the light bulb and the telephone. The company started to grow quickly due to also implementing better technological means and of course, because of the high-quality of their products. Apart from some of the best woolen clothes on the market, Devold also designs and sells numerous other products such as jackets, long johns, mittens and sweaters. Their clothes are suitable for extreme weather, leading them to become one of the most sought-after garments for explorers and expeditioners. Skogstad (website NO, website UK) is a brand that designs some top-of-the-line jackets, mid layers, accessories, trousers and base layers. Their collections include options for men, women and children, as well, so you can surely find something for everyone. Jackets are numerous, from technical and softshell ones, to down and heavy winter parkas designs that perform beautifully in challenging conditions. They pride themselves in the durability and weather-resistance of their products, especially when it comes to waterproof jackets. The mid-layers include fleece jackets that help with warmth and insulation, while the base layers are woolen blouses that provide great warmth for when the temperatures really drop. They come with other numerous accessories, such as beanies and winter hats, as well as swimwear for kids. If there is one thing many Norwegian brands have in common is their rich history and vast experience. Dale of Norway is another brand established in the late 1800s, so we are talking more than a century of experience. A bit different from the other brands that we have selected, Dale of Norway‘s products are knitted garments, such as sweaters and other accessories. We picked this brand for its stylish outdoor designs, without having to limit this selection only to jackets. Their sweaters come in a variety of styles and are divided into different collections and categories, making it easy to find a look that you specifically like. To have outdoor lovers fully covered, pun intended, we chose Northern Playground to be part of this selection. This is a modern brand, established in 2011, the first product being the ziplongs. Now, they are a multiple award-winning brand that are constantly improving their designs. They design woolen and fleece tops and bottoms, including underwear and other accessories too. Their best-selling products are the ziplongs, which are trousers that zip on the sides for adjustment and added comfort. They are made of microfleece or wool, depending on the design, and provide great insulation, as well as practicality. All of their tops and bottoms are designed with functionality in mind, so they are high-performance clothing that you can put to use in many different ways. Sweet Protection is a brand that can be traced back to 1988, but it was founded in 2000. One of their most popular products is the helmet, whose first launch was in 2001 in two main designs, The Rooster and Strutter. 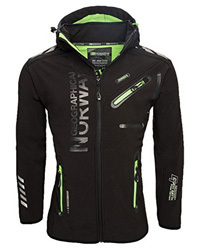 Then they moved on to technical clothing, targeting snowboarding and skiers specifically. Nowadays, you can find not only their world-renown helmets, but also Gore-Tex jackets and other technical clothing which include jackets and pants. Gore-Tex is one of the best membranes currently in the market, when it comes to weather resistance and durability, and this only adds to their already well-designed products. They are another multiple award-winning brand, for both their helmets and their innovative designs. Bergans is a multi-product brand, with a team of avid explorers and lovers of the outdoors behind all of their collections and product lines. One of their best-performance lines was made in close collaboration with Cecilie Skog, the renowned mountaineer and the only person in the world that has climbed the Seven Summits and skied to both the North and South poles. Each of their designs and products are tried and tested out in nature, in order to ensure that the quality lives up to their standard and reputation. 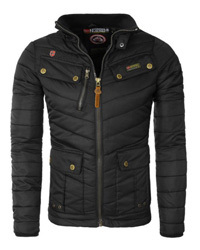 You can find a vast variety of products, including jackets, T-shirts, trousers, vests and long-sleeve blouses. You may have come across Helly Hansen, a renowned Norwegian brand whose history begins in 1877, with Helly Juell Hansen. Hansen was a sea captain that was unsatisfied with the clothing available for sailors, so he decided to take the matter into his own hands, hence Helly Hansen was born. Their product range is extensive, with sailing jackets, sports jackets, mid and base layers, trousers, backpacks, footwear, tops, accessories and much more. 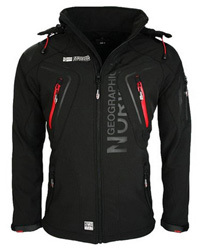 Their jacket designs are high-performance and quite unique, with combinations of soft shells and down, as is the case of Verglas, one of their best selling products. Helly Hansen is one of the best brands if you are looking to buy everything in one place, as their collections include everything you need for your next outdoor adventure. To say that Norrøna‘s products perform well is an understatement. With some of the best-performing sports jacket currently available, its history can be traced all the way back to 1929, so we are talking nearly a century of innovation and product designs. What you may find interesting is that Norrøna, in 1977, becomes the first European brand to design a jacket prototype that used Gore-Tex as its outer membrane. Later they turned to outdoor gear as well, creating the Stetind backpack, with an anatomic carrying system that made it a lot easier and more comfortable for backpackers and sportsmen to travel. Nowadays you can find durable and high quality outdoor clothing, designed specifically for sports and other outdoor activities. We left Norwegian Rain for last because of their style. They design jackets and shoes for men and women, but their look is very retro and classic. Think Sherlock Holmes, to give you a better idea. The designs are eye-catching, with both long and short options, suitable for different types of weather. You can find jackets that are best-suited for milder temperatures, as well as other that withstand arctic temperatures, always maintaining the style, class and elegance. 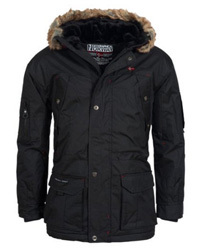 The long designs resemble winter coats and mostly come in the color black or grey, which overall makes for a very unique product range. Don’t let the refined look fool you, however, these jackets are sturdy, durable and breathable, made of the finest material.